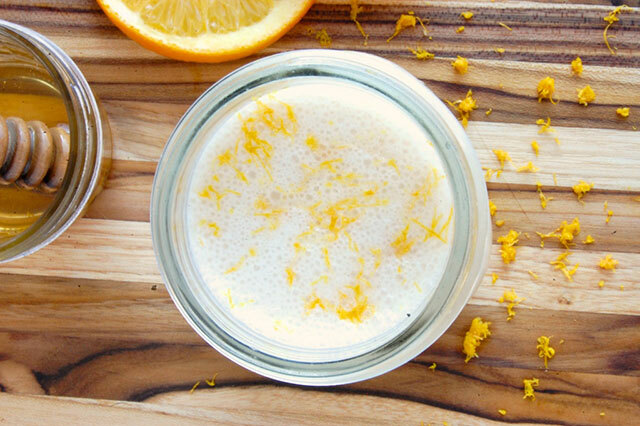 Getting your daily intake of vitamin C has never tasted so good. Oranges, which create the main part of this smoothie, are well known for their high vitamin C content. 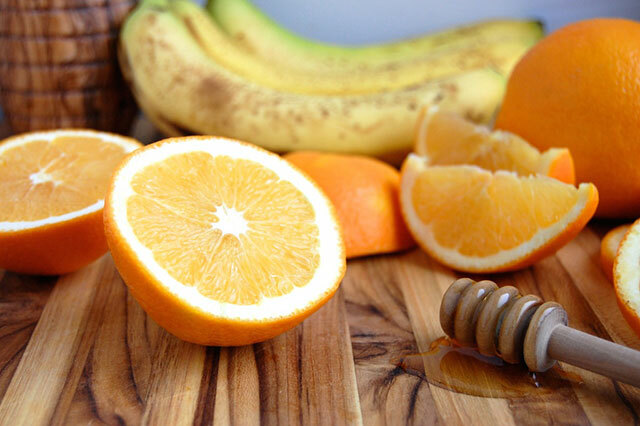 The popular fruit is easy to access all year around, so you can enjoy this vitamin-rich orange smoothie any time you want. Oranges are an exceptional source of both vitamin C and flavonoids, even among citrus fruits. One orange alone provides you with over 100 percent of your daily recommended intake of vitamin C. Vitamin C, a strong antioxidant, neutralizes harmful free radicals which are linked to cancer and heart disease. The vitamin also is essential to your body’s production of collagen, which reduces wrinkles and fights against skin damage. Do not be quick to discard the white pith of the orange either. Interestingly, the pith (the white part between the peel and the flesh) is a high source of fiber. So if you have a powerful blender it is recommended to include it with the rest of the orange. The pith is also high in bioflavonoids, which work together with vitamin C to reduce the risk of cancer and slow the signs of aging. In addition to the health benefits already listed, oranges are also a good supplier of vitamins A and B, potassium, folate, and iron. The only factor that may not be positive about the citrusy, juicy fruit is its high acidity content. If you have trouble with heartburn, limit your intake. 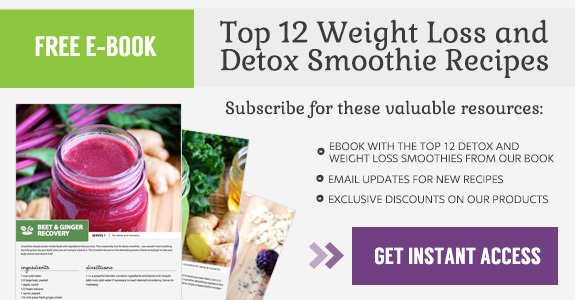 Your health will thank for all the help it gets from one simple smoothie. Five ingredients in a blender, and you get so many benefits. 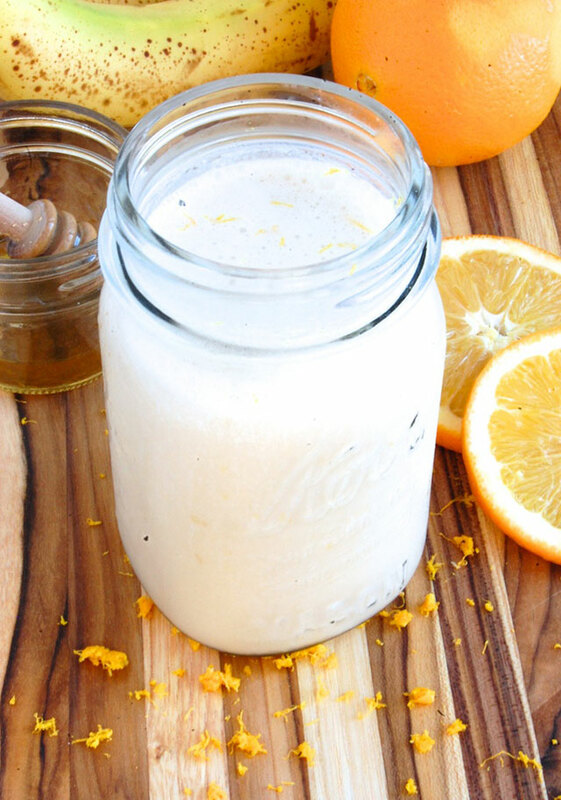 This drink is the healthiest version of an Orange Julius that you could possibly have, allowing you to fill up on vitamin C the natural way. 1. In a powerful blender, combine ingredients and blend until smooth. Add more cold water if necessary to reach desired consistency. Adjust sweetness to taste. Serve immediately. Rebecca Bohl is a recipe developer and food photographer based in Washington, D.C. She likes to share recipes that are based on natural, unprocessed foods. Rebecca loves to come up with new combinations to create healthy, tasty smoothies that can be enjoyed every day.